Building plans Approved in Winslow! 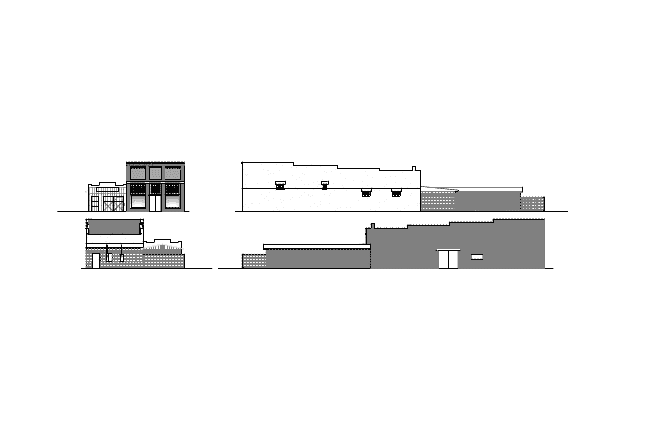 The picture below is the Architects drawing of the outside facades of the Motor Palace. It’s a protected PDF and I don’t have the skills to crop the white out of it to make it bigger. The building on the left is an 800sf carriage house. It’s 17′ across and the Motor Palace is 25′. The addition (brick pattern) at the rear of the Palace is the “mud room” where the cellar entrance is and the living quarters will be. 66 Motor Palace Megaplex Winslow. We got our plans approved and will get to start work on the building in February. Phase I we are building the living quarters in the rear so we have a place to stay while we do the main building. The East wall will be redone with a large glass block section on the right side and two 3’X3′ glass block windows where the small meter is. That meter will go on the carriage house to keep the battery tenders happy. Two of the chimneys will be attached to our wood burning stoves and one will be used as the kitchen exhaust. This shot is from inside the Motor Palace through the Mud Room door which is the door behind the pick-up in the photo above. The people we bought it from framed it to put up dry wall. 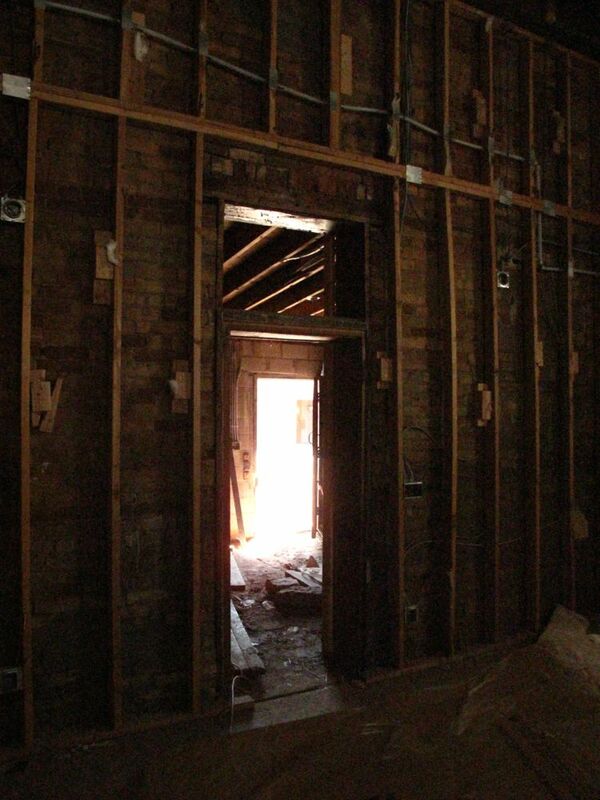 We are going to leave most of the original masonry and plaster exposed and preserve it in it’s current state. We will cover some sections to provide gallery space. No faux here, this place is jacked up for real!